The 102-win Indians blew a 2–0 ALDS lead because they are cursed. You may be thinking, “Spencer, LeBron and the Cavaliers broke the curse in 2016!” You are wrong. The Cavaliers were never cursed, and neither were the Browns for that matter. The Curse has always been on the Indians and the Indians alone. The Browns were dominant in the ’50s and ’60s thanks to guys like Paul Brown and Jim Brown. In the end, that dynasty was derailed before the start of the Super Bowl era by egos and incompetence. The Browns paid for their sins through the ’70s. Still, the franchise fought back in the ’80s with Brian Sipe, Bernie Kosar, and the Kardiac Kids. Those teams were good, which is why you saw them succeed like they did. However, they were never built to truly win it all. A team of oddballs in Cleveland was never going to beat a team led by the likes of an historically great QB like John Elway. That wasn’t a curse, it was simply getting beat by a better team, albeit in heartbreaking fashion. As the Brian Sipe era became the Bernie Kosar era became the Vinny Testaverde era, the Browns again began to slip into irrelevancy. However, by the time Browns owner Art Modell decided to move the franchise to Baltimore, they were on another upswing behind head coach Bill Belichick. The move was horrible, but several fan bases are experiencing the same feelings now. After the Browns got to Cleveland and became the Ravens, they promptly won a Super Bowl. Sad, but a money-hungry owner moving a beloved, successful team to a new city over a stadium finance debate is not a curse. Ahead of its time in the ‘90s, but not a curse. When the Browns returned in 1999, they were set up for failure. The “new” Browns franchise never stood a chance, yet still earned itself a playoff appearance in 2002 behind Tim Couch — a solid quarterback who was never given the ability to truly succeed. Since then, the Browns have been bad. They’ve been really bad. You don’t need me to document Cleveland’s many failures in the NFL spectrum. The team hasn’t made the playoffs since 2002 and their best quarterback since then was Derek Anderson. They’ve been historically bad at drafting, and are probably headed for another regime change after what appears to be a second-straight one-win season. “Spencer, that sounds like a curse to me! Nobody is worse than the Browns!” True. Nobody is worse than the Browns, but that is not because of a curse. It is because the Browns are simply too stupid to ever be good. The Cavs are one of the luckiest franchises in the NBA. How the Cavs ever got lumped into this curse business is beyond me, and I say this as someone that ran with the curse talk for years. The Cavaliers joined the NBA in 1970 and took just six years to become a championship-caliber team. The 1976 Miracle at Richfield squad could have won it all if it weren’t for an injury to Jim Chones. A team that won a game referred to as a “miracle” doesn’t sound like a team that’s cursed. They’re like the 2015 Cavaliers. They were championship-capable but a poorly-timed injury prevented them from reaching full potential in the playoffs. The strong ’70s teams gave way to a mess in the early ’80s behind Ted Stepien — one of the worst franchise owners in sports history. Because of this guy, the NBA literally had to make a rule that prevented teams from trading away all of their first round picks like total morons. Gordon Gund bought the team in ‘83, quickly turning them into a contender by the end of the decade. The most infamous moment in this era is, of course, The Shot. However, if The Shot was the product of a curse, then consider every NBA team outside of Chicago cursed from the mid-‘80s to the late ‘90s. Michael Jordan is not a curse, he’s just the greatest player of all time. A good-not-great Cavaliers team losing to him is not a curse, it’s how sports work. The Cavs got really bad in the mid-‘90s and remained irrelevant into the early 2000s but were saved by the fact that one of the greatest athletes in the history of the planet was born down the road and waltzed right into Cleveland as a 19-year old and was immediately transcendent. Doesn’t sound like a curse to me. The franchise completely wasted LeBron’s first seven years as LeBron became the best basketball player in the world — more despite them than because of them. Of course he was going to leave. By 2010 he was already among the greats in NBA history and the franchise insisted on surrounding him with the likes of Larry Hughes, Delonte West, and the 400-pound corpse of Shaquille O’Neal. None of that was poor luck or cursed outcomes, it was a bad front office. Despite all of this, the Cavs got extraordinarily lucky, fell backwards into a series of #1 picks, and accidentally became the perfect place for LeBron to return to in 2014. They blew their chance with a Top 3 player of all time and still got him back in his prime. LeBron returned and the Cavs instantly became favorites in 2015 but some freak injuries and the emergence of what could be the greatest dynasty in league history held off the parade for a year until LeBron and Kyrie could get the job done in 2016. That is not curse behavior. Had the Cavs lost Game 7 in Oakland to the best team in NBA history, it still wouldn’t have been because of a curse. The Cavs title drought lasted 46 years because of historically poor ownership, an unstoppable force named MJ, and then an incompetent front office that accidentally did enough things right to win a championship. Not a curse. The Indians are 100% cursed. They haven’t won a title in 69 seasons, a drought longer than both the Cavs and the Browns — even without the 2016 championship. The Indians won the World Series in 1948 behind the likes of Bob Feller and Larry Doby. That team was obviously fantastic and the core stuck around for a while. Nobody remembers that the Indians were great in the ‘50s because they only won the pennant once, finishing second in the American League to the Yankees (and Yogi Berra) five times. The Yanks won the American League eight times in the ‘50s and turned it into six World Series rings. The Indians’ decade of power was completely wiped out by the most successful decade in the history of a storied Yankees franchise. In 1954, the Indians set a Major League record that stands to this day by winning 111 games in a 154 game schedule. That incredible .721 win percentage remains to be beaten. The Tribe streaked to the World Series that year but blew it against the Giants and Willie Mays. Game 1 featured the most famous catch in baseball history. Things took a nosedive at the top of the decade. In 1959, the Tribe managed to produce the AL home run champion in Rocky Colavito. Stupidly, they traded him just before Opening Day in 1960 and proceeded to finish as high as third place one time in the next 34 seasons. My dear readers, that is curse behavior. Dumping a young star to save money before plummeting into more than 30 years of irrelevance is the stuff curses are made of. The Curse of Rocky Colavito is like The Curse of the Bambino Lite. The ’90s rolled around and Colavito’s curse began to fade a bit. The Indians were surging just as Jacobs Field opened and right before the Browns were fixing to leave town. It was perfect timing. The Tribe’s dominant era in the mid-to-late ’90s started in 1994 but the season was called early due to a player’s strike. At the time the season was called, the Indians had their best win percentage in 39 years. They were on track for 94 or 95 wins, the same as the 2016 Indians who narrowly missed a title. That’s what I call a curse. They may not have won it all in ’94, but when a small-market team is peaking at the right time, stealing a year of that dominance is devastating. The Indians couldn’t afford to keep that team together and 1994 was a golden opportunity they never even received. In 1995, the Indians exploded with 100 wins in just 144 games behind a perfect blend of veterans like Eddie Murray and superstar youngsters like Manny Ramirez, Jim Thome, Albert Belle, Kenny Lofton, and Omar Vizquel. That team was a dynasty. They reached the World Series that year for the first time since the 1954 disaster, but the results were similar. They lost by one run to Greg Maddux in Game 1 and by one run to Tom Glavine in Game 2. In an elimination situation in Game 6, they managed just a single hit. This was the same team that led the league in runs scored, hits, and stolen bases. Their starting lineup was comprised of eight hitters at .300 or better. That’s incomprehensible. In the World Series, the team hit just .179 against the Braves. Cursed. The 1996 Indians sold out the entire season before Opening Day but lost to the Orioles in the ALDS. The 1997 Indians reached the World Series and held a lead in the ninth inning of Game 7. The trophy was literally in their clubhouse. Jose Mesa gave up the tying run in the ninth and the Marlins won it in 11 innings. The Indians became the first team in baseball history to lose a World Series after holding a lead in the ninth inning of Game 7. The 1998 Indians reached the ALCS but ran into the winningest team in MLB history — a Yankees squad with 114 wins. The 1999 Indians are one of two teams in MLB history to score 1,000 runs in a season, but they ended up blowing a 2–0 ALDS lead against the Red Sox. In 2000, the Indians started too slow to make the playoffs, despite a hot second half. Manny Ramirez skipped town after the season. In 2001, the team made a return to the playoffs but ran into a Seattle team that had beaten New York’s aforementioned record 114 wins. Cursed. Following the ’01 year, the team entered rebuilding. The franchise accidentally managed to piece together enough wins in 2005 before choking down the stretch and breaking my heart. The 2007 Indians were magical, reaching the playoffs for the first time since 2001 and beating the Yankees in the ALDS in cinematic fashion. Seriously, there were swarms of bugs involved. In the ALCS, they took a 3–1 lead against the Red Sox before collapsing. I attended Game 5. The Indians lost. We knew the season was over. The Red Sox beat the Tribe in seven games to reach a World Series where they swept a Rockies team the Indians would’ve beaten in four or five games. That era ended with a whimper and the Indians rebuilt again. Terry Francona was hired after the 2012 season and high-priced acquisitions like Nick Swisher and Michael Bourn did barely enough to earn a Wild Card appearance where the Indians were shut out by a positively mediocre Tampa team despite recording nine hits. It was only the second year of the new Wild Card setup, otherwise the Indians (who had the best record for a non-division champion) would’ve gone straight to the playoffs. 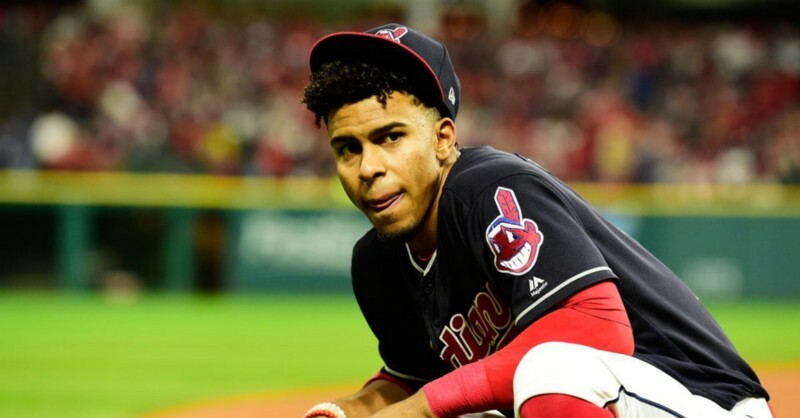 By 2016, the Indians were hitting on all of their prospects. They returned to the ALDS for the first time since 2007 and steamrolled the Red Sox in three games. In the ALCS, they plowed through the Blue Jays in five games. They returned to the World Series for the first time since 1997 despite a rash of injuries. They staked themselves to a 3–1 lead against the Super-Cursed Cubs and still couldn’t manage to grab the last win, even with home field advantage in Game 7. Rajai Davis hit the biggest homer in franchise history to tie the game and the trophy ended up in the Indians clubhouse again. Around midnight, the curse sent a rain delay, the Indians lost all momentum, and the Cubs broke their curse. There’s nothing more cursed than an infamously cursed team beating you following a freak November rain storm in extra innings of World Series Game 7. The 2017 team was the best Indians team since the 1954 powerhouse. They grabbed a 2–0 lead against the Wild Card Yankees and then forgot how to play baseball. A team that won 22 games in a row couldn’t manage to win one of three. Corey Kluber, who is about to win the Cy Young, was pedestrian. Jose Ramirez, who led the AL in extra base hits and will be a fringe MVP candidate, had two singles and zero RBI in five games. Now that is a curse. A heavyweight team with a clear path to a title struggled to two wins before completely choking. In my lifetime, the Indians have won a division championship nine times and haven’t turned it into a World Series victory. In my time as a fan, I’ve seen the team reach the playoffs three times. Those three appearances each ended by choking away a 2-game lead. They did it once in the ALDS, once in the ALCS, and once in the World Series. Not only is that poetic, but it’s a curse. Each of those teams would’ve been champions if not for the chokes. The 2007 team would’ve done it because the Rockies were a soft opponent. The 2016 team would’ve done it because they were already in the World Series. The 2017 team would’ve done it because they were the best team in baseball. Instead, nothing. Cursed. I don’t know why the curse exists. Maybe it’s random like we thought the Cleveland Curse was. Maybe it’s Rocky Colavito. Maybe it’s Chief Wahoo, a beloved character that first appeared on Cleveland uniforms just three years after their last championship but carries a history that’s tough to reckon with. I’ve been a diehard Cleveland fan since I was old enough to understand sports and it took the Indians’ defeat in the ALDS for everything to suddenly make sense. If the Tribe couldn’t win a World Series this year, I don’t know that it’s ever going to happen. The Cavs have been on the receiving end of some humiliating moments, but have been comparatively lucky for most of their history, especially in the 21st century. The Browns, as Cleveland fans know too well, are woefully incompetent. The Indians on the other hand, are absolutely, positively cursed. It’s their curse and it always has been.